Please visit our Open House at 217 1951 Rathburn RD E in Mississauga. Spacious 4 Bed, 3 Bath Town Home, In The Rathwood Area. Close To The Etobicoke/Mississauga Boarder. W/O From Living Room Into Fenced Back Yard With Patio. The Backyard Opens Up Right Into The Community Park/Playground & Tennis Court Surrounded By Mature Trees. Finished Basement With Drycore Subflooring & Gas Fire Place, Newly Updated Laundry (2018), Minutes To Nearby Longos (Kingsbury Plaza), Transit And Local Parks & Bike Trails. I have sold a property at 4651 Thomas Alton BLVD in Burlington. I have sold a property at 2 141 Ripley CRT in Oakville. Most Economical Freehold Townhome In Oakville. No Maintenance Fees. Why Rent? Ideal For First Time Buyer Or Investors. Updated Kitchen & Finished Basement. Hardwood Floors In Living, Dining & Bedrooms. Close To Sheridan College. Private Yard. I have listed a new property at 4651 Thomas Alton BLVD in Burlington. I have listed a new property at 217 1951 Rathburn RD E in Mississauga. I have listed a new property at 2 141 Ripley CRT in Oakville. Spacious 4 Bed, 3 Bath Town Home, In The Rathwood Area. Close To The Etobicoke/Mississauga Boarder. W/O From Living Room Into Fenced Back Yard With Patio. The Backyard Opens Up Right Into The Community Park/Playground & Tennis Court Surrounded By Mature Trees. Finished Basement With Drycone Subflooring & Gas Fire Place, Newly Updated Laundry (2018), Minutes To Nearby Kingsbury Plaza, Transit And Local Parks And Trails. I have sold a property at 1309 20 Mississauga Valley BLVD in Mississauga. Spacious 3 Bed/2 Full Bath Corner Unit W/ 2 Entrances.  Updated Kitchen & Recently Updated Baths & Electric Fireplace Unit. Enclosed Balcony. Open Concept Living Space, Ensuite Laundry & Storage. Close To Square One. Daycare In Building. Walking Distance To Cooksville Go. I have listed a new property at 1309 20 Mississauga Valley BLVD in Mississauga. I have sold a property at 2265 Carpenters CIR in Oakville. Backing Onto Fourteen Mile Creek Ravine & Trails, This 3239Sqft + Basement Glen Abby Home Has One Of The Largest Pie-Shaped Lots In The Neighbourhood W/ In-Ground Pool, Perennial Gardens & Lots Of Lawn For The Kids To Run Around. 4 Large Bedrooms (2 Ensuite) & A Nanny Suite In The Finished Basement. The Kitchen Is An Entertainers Dream W/ A Large Island & It Opens To A Large Family Room W/Gas Fireplace Flanked By Large Windows. I have listed a new property at 2265 Carpenters CIR in Oakville. I have sold a property at 2535 Padstow CRES in Mississauga. 4 - Level Backsplit With W/O To Covered Patio And Large Yard. Quiet Street Close To Clarkson Go, Community Centre And Shopping. Original Hardwood Under Most Carpet. 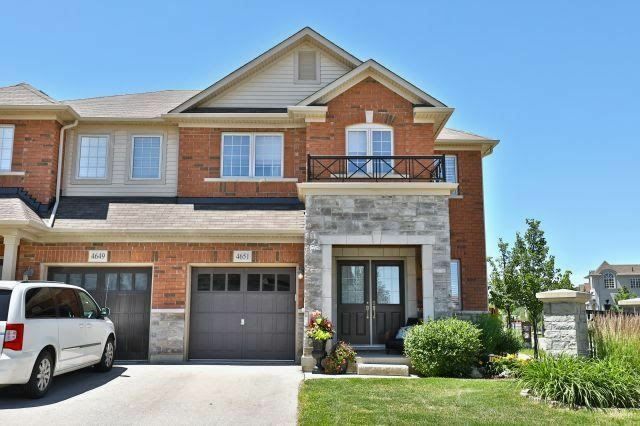 I have listed a new property at 2535 Padstow CRES in Mississauga. I have sold a property at 1334 Glen Rutley CIR in Mississauga. 3 Bedroom Applewood Family Home With Generously Sized Bedrooms And No Carpet Through Out. 2 Walk Outs From Dining Room And Laundry To Yard With Mature Trees And Pergola. Separate Entrance To Basement With Kitchenette, Large Living Areas And 1 Bedroom. Close To Great Schools, Community Centre, Shopping And Transit. Please visit our Open House at 1334 Glen Rutley CIR in Mississauga. I have listed a new property at L4X 1Z6 1334 Glen Rutley CIR in Mississauga. I have sold a property at 98 Kildonan CRES in Hamilton. Comfortable 3 Bedroom Family Home, All Bedrooms With Walk-In Closets! Landscaped Backyard With Interlock And Deck. Recently Updated Kitchen With Custom Ikea Cabinetry And Quartz Counter Tops. Steps From Public Transit, Minutes To Grocery Stores, Restaurants And Other Shops. Minutes To Highway 6, Great Location For Commuters. I have listed a new property at 98 Kildonan CRES in Hamilton. I have sold a property at 27 Parkmanor DR in Hamilton. Beautiful Executive Home On Premium Lot Backs Onto Quiet & Treed Winona Park. Custom Home W/ Many Upgrades & Features. Cloak Rm Off Foyer. Kitchen W/ Granite Counters, B/I Appliances & Centre Island. Formal Dining Rm W/ Fireplace & Wainscoting. Great Rm W/ Corner Fireplace & Cathedral Ceilings & Skylights. Master Bdrm Retreat W/ Large W/I Closet & Large Ensuite W/ Separate Jetted Tub & Shower. Fully Fin Basement W/ Sep Entrance, Full Kitchen, 2 Bdrms & Bath. I have sold a property at 224 Candlewood DR in Hamilton. Great Attached 2-Storey Townhome, Nestled In A Quiet Suburban Street Within Walking Distance To Local Schools. A Few Minutes Drive From Lots Of Local Amenities & Great Access To Highways. Ideal Property For A Family Who Is Looking For Some Extra Space. Backyard Features A Large Deck, Perfect For Summer Entertainment. All Bedrooms Are Large & Bright W/Adequate Closet Space. I have sold a property at 3552 Ashcroft CREST in Mississauga. Renovated "Shipp Built" Semi Detached Bungalow In Family Friendly Erindale Woodlands. Separate Side Entrance To Fully Finished Basement W/2 Bedrooms, Bath & Own Laundry, Bright Kitchen & Living Area. Built In Laundry In Upper Kitchen. Walk To Go Station & Schools, Close To Square One & Highways. Hardwood Or Laminate Throughout. Large Fenced Yard W/Shed. Please visit our Open House at 224 Candlewood DR in Hamilton. Please visit our Open House at 3552 Ashcroft CREST in Mississauga. I have listed a new property at 224 Candlewood DR in Hamilton. 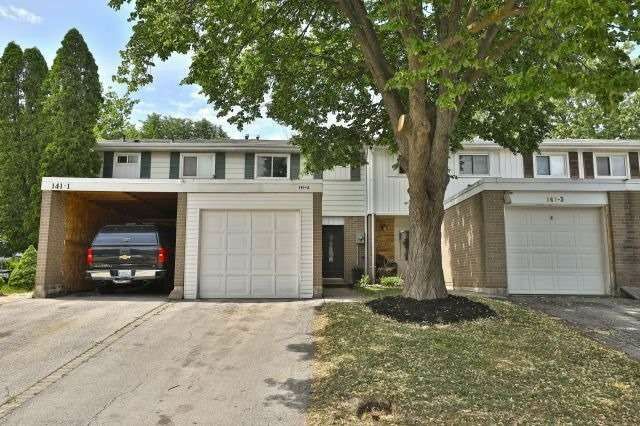 I have listed a new property at 3552 Ashcroft CREST in Mississauga.